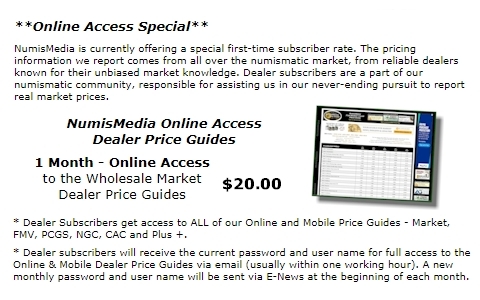 �����Dealer confidence in the market appears to be higher than it has been in many months as most reported an increase in sales at the just completed Long Beach Expo. The metals held strong throughout the week with dealers and investors taking advantage of the higher prices to trade bullion at a steady pace. The Heritage Auctions Signature Sale in Long Beach was active with email and internet bidders providing the bulk of the sales. 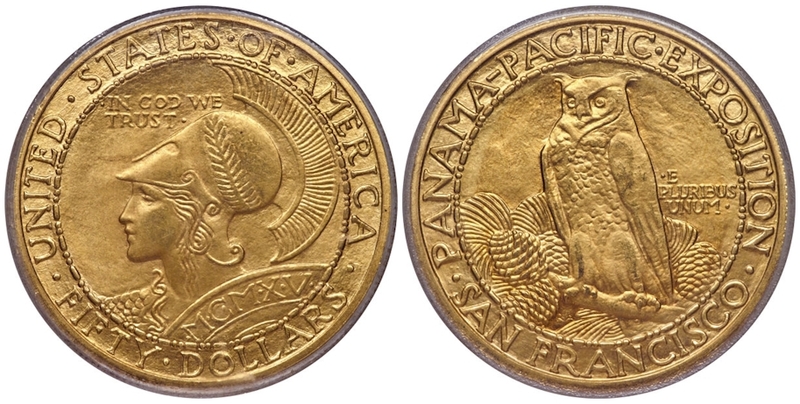 Two of the top highlights brought premiums to current Market prices: The 1879 $4 Gold Flowing Hair Stella in PCGS PR64 Deep Cameo CAC brought $210,000 and the 1915 S $50 Gold Panama-Pacific Round in PCGS MS64 sold for $114,000. Below are some of the other highlights from the Heritage Sale. �����This week the market is mixed with many common issues still trending lower, but there are advances where buyers are looking for tougher dates that are not frequently seen in today�s market. Some specific dates in Bust Half Dollars are rising including the 1808/7 in MS64 which is higher at $14,750. There are only 15 coins certified in MS64 with just 6 coins grading higher. �����The 1809 Bust Half Dollar in MS66 is higher this week at $23,750. This coin may be an easier find in lower Mint State grades; in MS66 there are only 3 coins certified with only 2 in 66+. �����Most of the over dates or varieties in Bust Half Dollars are quite elusive in the better grades; the 1822/1 is higher this week in MS64 at $7,225. 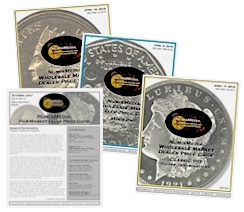 PCGS and NGC have certified only 8 coins in MS64 and another 4 in higher grades. 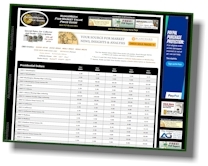 The Registry collectors are very competitive for these top graded coins. �����Some better date Walking Liberty Half Dollars are appearing more frequently and creating lower Market prices. Buyers are looking for + or CAC coins, not just average quality for the grade. This week the 1917 D Reverse in MS65 fell to $13,000 Market. There are a total of 70 coins certified in MS65 and buyers are looking for the nicer coins; there are 12 coins that are certified as CAC or + in the grade. The 1917 S Reverse is down this week as well with the MS65 lower at $12,000. This date has an even higher population in MS65 with 76 coins certified and there are 18 coins certified in the grade as CAC or +.